The MS Society is proud to announce that Johnson Insurance, a leading provider of home and auto insurance, has signed an agreement to become the title sponsor of the MS Bike in Ontario! Johnson's sponsorship will help the MS Society to increase its commitment to funding MS research through the donations made to participants across the province! This partnership builds on the success of the Johnson MS Bike in Alberta, now in its fourth year. "Having been a witness of the successful partnership between the MS Society and Johnson in Alberta, I am very pleased Johnson in Ontario is becoming title sponsor of the MS Bike in this province. Giving back to local communities has always been important for Johnson Insurance," says Alex Rafuse, Regional Vice President, Johnson, Ontario. "Thriving Communities is an important pillar in our Corporate Responsibility strategy and we are constantly looking for ways to create positive impacts in society. We believe we can do so here in Ontario with our involvement in the MS Bike event." "Canada has the highest rate of MS in the world. It's not something we're proud of, but we know that Canadians never back down from a challenge," says Owen Charters, Chief Marketing and Development Officer for the MS Society of Canada. "The MS Bike is one of our signature fundraising events that makes a very real impact in supporting people living with multiple sclerosis; Johnson's title sponsorship is a perfect example of a Canadian company stepping up in the fight to end MS."
Johnson's commitment extends beyond simply being the title sponsor: stay tuned in the coming weeks for some great activities to get you ready for the Johnson MS Bike, and boost your fundraising! For more than 125 years, Johnson has delivered high quality home and auto insurance and plan benefits to Canadians. Today, it is one of the country's leading and fastest growing providers of insurance products and benefits. Johnson believes its success is a direct result of its focus on doing what's right for its customers and employees. In January 1997, The Johnson Corporation became part of the worldwide RSA Group - one of the world's leading insurance companies, writing business in 130 countries. You can't label Jerry as a cycling enthusiast, and he had never participated in a cycling event before last year's MS Bike, but that didn't stop him from taking home the title of "Rookie of the year" at the 2014 MS Bike - Toronto! Jerry's son Brian had a big part in recruiting Jerry to the tour, "I became involved in the MS Bike with an invitation from my son. The firm where he works has a team registered for the MS Bike and I was thrilled to be included among his colleagues and friends." Jerry continues, "It was a great opportunity to raise some funds for MS and spend a day with my son." Although he cycles recreationally from time to time to stay healthy, he shares with us his main motivation to participate, "I have numerous friends whose wives are touched by multiple sclerosis. Because of this, I chose to ride." Of all the first time cyclists who participated in the 2014 MS Bike - Toronto, Jerry managed to raise the most with an amazing $2,295 - grabbing the title "Rookie of the year." Jerry felt humbled when he was presented with the news, "This honour came as a total surprise." Jerry continues, "Rookies are very important because it shows us that new participants are always welcome, are great at collecting pledges, bring some new fundraising competition to the group and ultimately bring us closer to ending MS!" 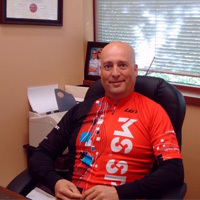 Jerry reflects on his experience and looks forward to the upcoming MS Bike season, "The event was very rewarding for me. I was able to contribute to the MS Society, raise donations for my fellow Canadians who are affected by MS and I had a wonderful day doing it with my son by my side." Kim Case’s sister, Arlie, experienced her first MS attack after her son’s first birthday in 1991, “It was many years before we knew what she had, but when she was diagnosed with progressive MS her condition quickly spiralled," Kim says. 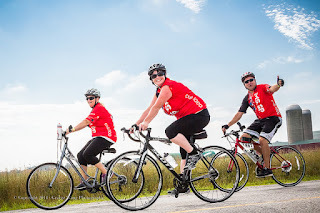 In 1997, Kim and her husband Bob saw a group of cyclists ride by their house in Grand Bend and were intrigued, “We discovered that there was a bike event in our area, in support of multiple sclerosis, and the rest is history!” Since her sister’s diagnosis, the MS Society has been their family’s charity of choice, “There is not much we can do for Arlie, but we can ride and raise funds for other newly diagnosed Canadians.” Bob, a long time top fundraiser, has been cycling in MS Bike - Grand Bend to London for 17 years, and Kim has been volunteering at the event for 16. #IWillEndMS Contest Rules & Guidelines!! How will you help end MS? Using the hashtag #IWillEndMS, share your story on our Facebook page for your chance to win a pair of Toronto Argonauts tickets!! Make sure you “like” our MS Bike Facebook page to qualify. Share your story on our MS Bike Facebook page: at 10am to 4:00pm ET on Tuesday, November 4th! You will have 5000 characters to share your story. Prize: The winner of the #IWillEndMS contest will receive a pair of tickets to see the Toronto Argonauts vs. the Ottawa Redblacks on Friday, November 7th at 7:00pm. How to pick up your prize: We will contact the winner with further details on how you can pick up your prize. 2. One entry per person. You must only enter with one Facebook account. 4. The grand prize is not transferable and non-redeemable for cash. There will be no substitutions. 5. You must “like” the MS Bike Facebook page to qualify. You can follow @MSBikeTour on Twitter for contest details. 6. Contest entries must be submitted on Tuesday November 4th between 10:00 am and 4pm ET. 7. Winner selection: A panel of judges will review the shared stories and decide on a winner. 8. The winner will be notified and provided details on how they can acquire their prize. Toronto Argonauts vs Hamilton Tiger-Cats in support of MS! 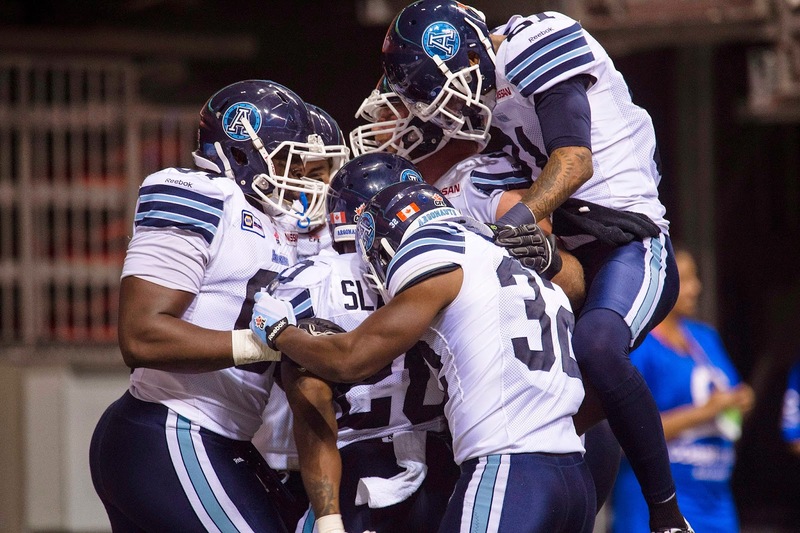 On Saturday, October 25th, why not catch the Toronto Argonauts take on the Hamilton Tiger-Cats help to end MS! Ticket prices have been reduced to $36 and with each ticket sold, $10 will be donated back to your local MS chapter. Order tickets through Anthony Melillo at 416-341-2716 or amelillo@argonauts.ca. Please let him know you’d like the MS Society tickets (section 127), and tell him which MS chapter you’d like to support. The deadline for group tickets is October 10th. Individual tickets can still be purchased up until October 24th but after October 10th the MS Society section (127) will be opened up to the public. Accessible seats are being sold at a further reduced price of $30 (donation included). Attendees can reserve an adjoining seat for a family member or friend, and additional family/friends will sit in the back row of the section. Accessible seating is on a first come first serve basis so it is best to reserve ASAP to ensure a good seat! 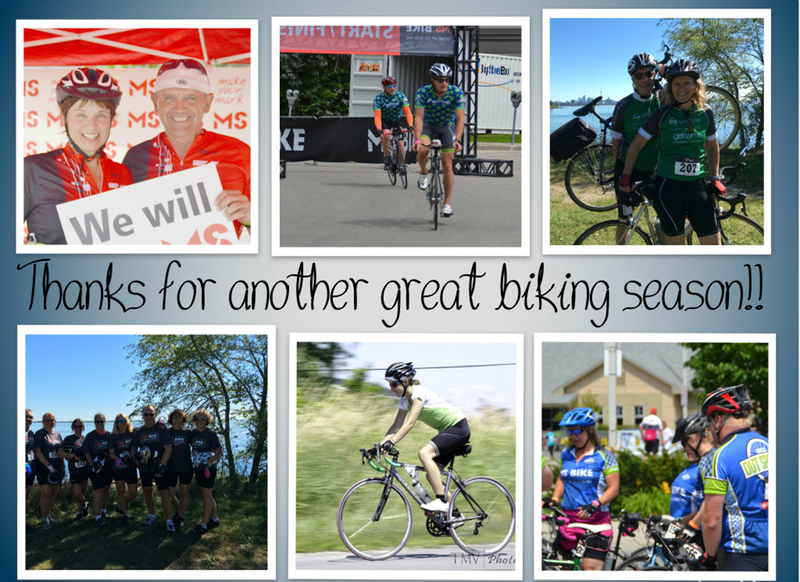 The MS Bike season has come to a close but we would like to thank all the sponsors, donors and participants one more time for their contributions and efforts in making the 2014 MSBike a great success!